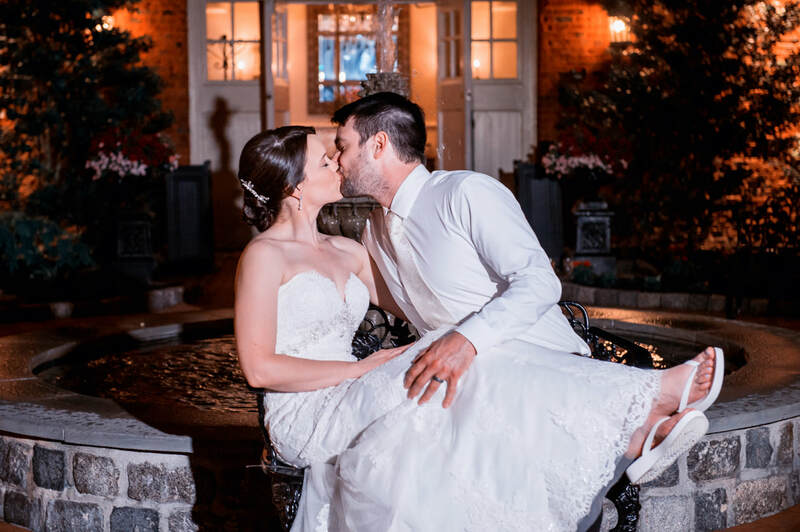 Wedding Photography Advice - Michael's Photography "
so here are some tips we have picked up over the years we think you could benefit from! - Do an engagement session. 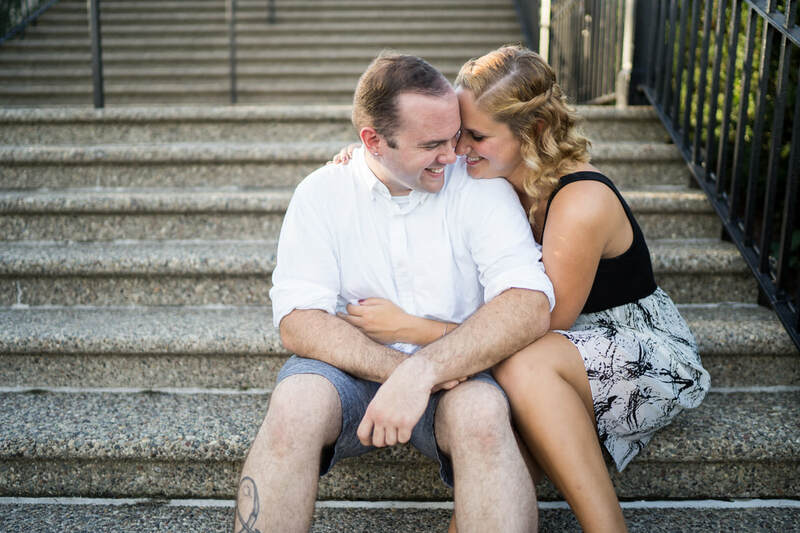 The best way to shake out all your nerves about being photographed is booking an engagement session with your wedding photographer in the months leading up to your wedding. 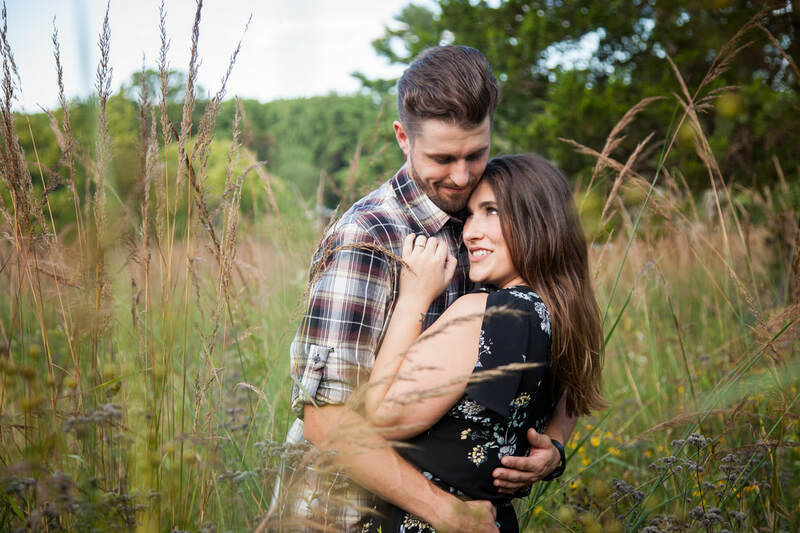 Not only can you use those images for save the date cards or to display during cocktail hour, but you get to learn how your photographer works behind the camera, and we get to know how you feel about being photographed. Not everyone is 100% comfortable or familiar with a professional photo shoot - and that's okay! It can be as laid back or as formal as you want it to be; whatever is most natural for you and your fiance! ​- Tell us what you want. We may seem pretty magical at times, but we are not mind readers. Please vocalize to us in your meetings prior to the wedding if you are looking for more of a candid look or a formal, posed look. Some couples are so 'go with the flow' that they ask for not one posed photograph of the two of them. We are totally down for that, we just need to know ahead of time to plan out the portrait session! On the other hand, some couples want as much direction as possible, and of course we are ready for that too. - Get the largest and most well lit room possible to get ready in. Natural light is a photographers gold mine! 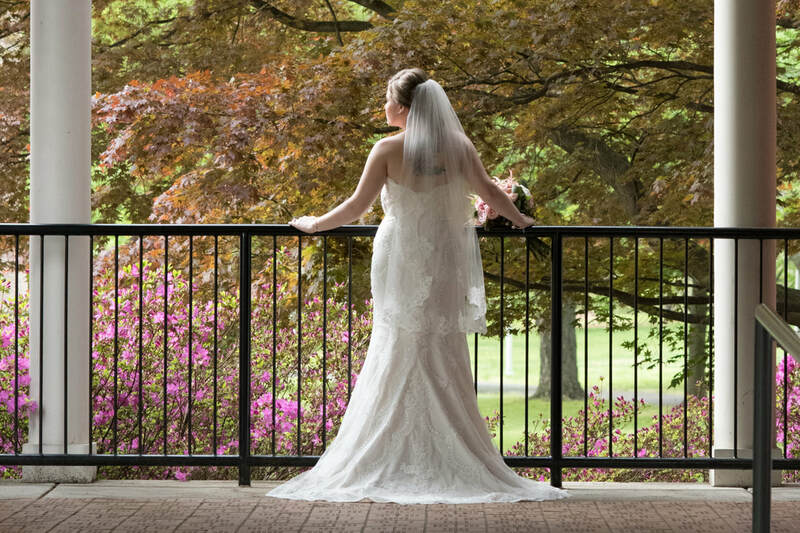 Having a hotel room or bridal suite with tons of natural light can produce some amazing photographs that just may not be possible in a basement or a conference room with no windows. Also, having a larger room helps keep clutter down and gives everyone their own working space. Majority of the time, we aren't the only vendor in there with you! Sometimes hair and makeup needs time to finish, flowers are getting dropped off, and of course family is in and out all morning; having extra space is way better than not enough. It also helps if you take 5 minutes before we arrive to do some house keeping; we don't want to see your maid of honor's socks and sweatpants lying in the background of all your images. - Schedule hair and make-up accordingly. It's the first thing you do on your wedding day and it can make or break your morning timeline. When scheduling your hair and make-up, particularly if it is being done at home or in your hotel room, please schedule so that everything is 95% done by the time we arrive to start photographs. We really only need 5 minutes of the bride being 'touched up' for our photographs. Ask your hair and makeup artists that the bride be done first and then all the bridesmaids following. When we arrive, they can do a few finishing touches on the bride, and then we are ready to roll into photographs! 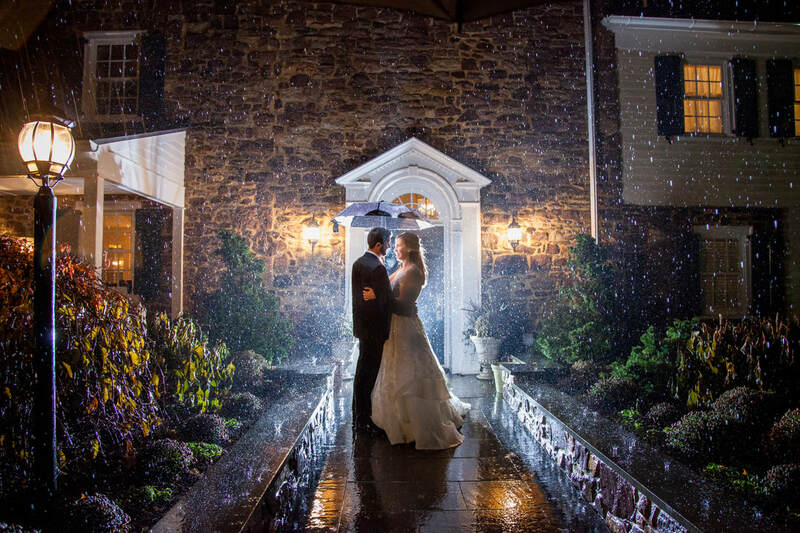 - Minimize locations on the wedding day. So you booked your photographer for 8 hours, and you want to go to three different locations for photographs? It can be done... but hear us out! 8 hours of coverage can quickly turn into 6.5 hours when we have to spend time stuck in traffic on 95 getting to your third photo location. 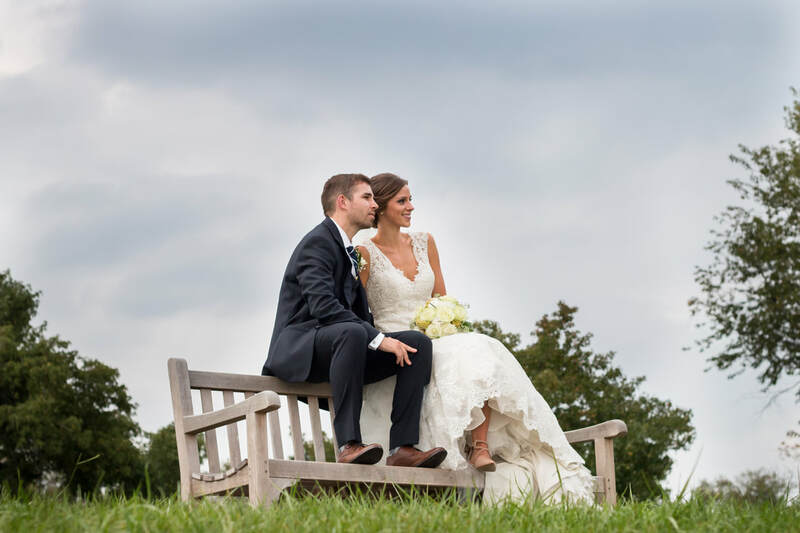 Minimizing your locations on the wedding day optimizes the time you have us for! - Let us know about special situations. 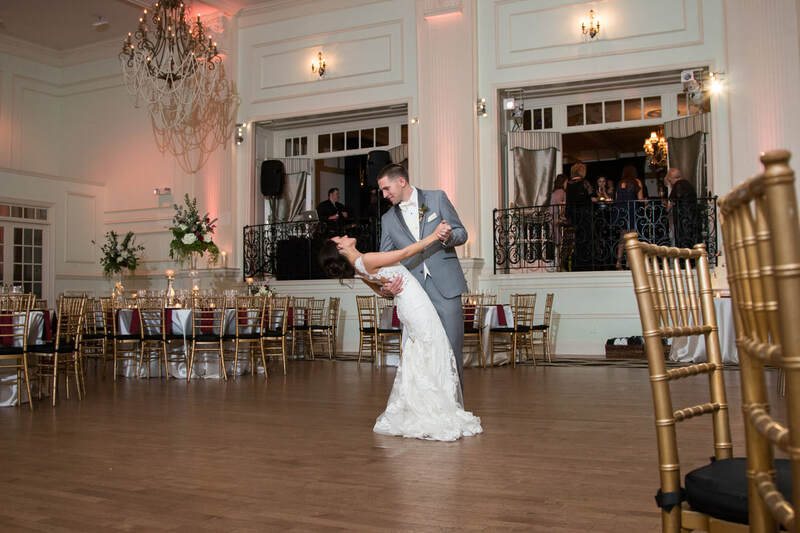 Whether it be a surprise reception on a boat, or a grand lift at the end of your first dance, we want to know ahead of time. Some divorced families don't get along the best, so we want to take careful consideration into the posing for family portraits. This goes for any handicapped guests as well; if they will be in any group photographs we want to accommodate them as best we can. 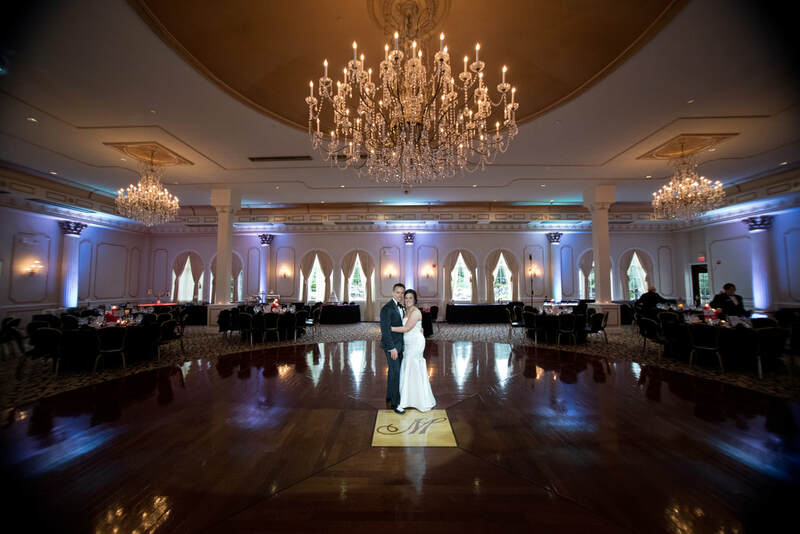 If you are having a special dance, speaker, or giving any special gifts to parents we want to know so we are around to photograph that, and not off in another part of the venue. We are the last people at your wedding that want to be surprised, we want to be in on the action! ​- Highly consider a first look. Gone are the days of waiting until the ceremony to see your hubby/wifey on your wedding day. 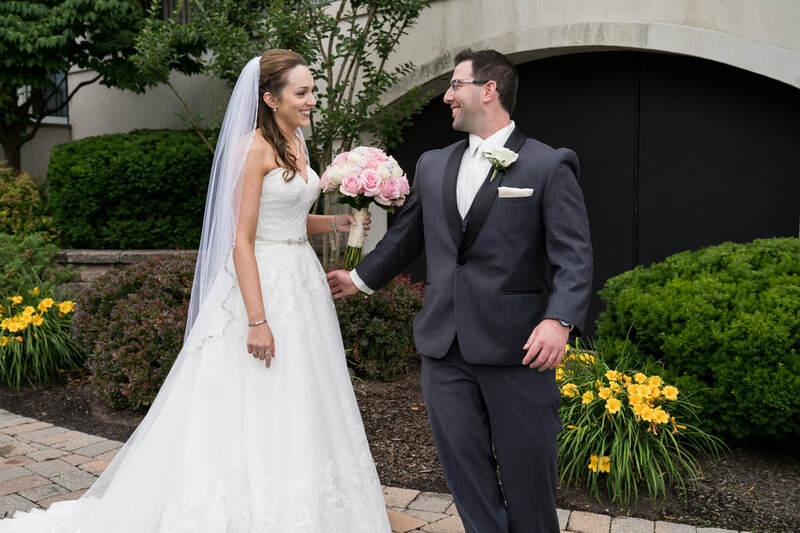 Having a first look can be so much more romantic and personal than waiting until your grand walk down the aisle to see each other. 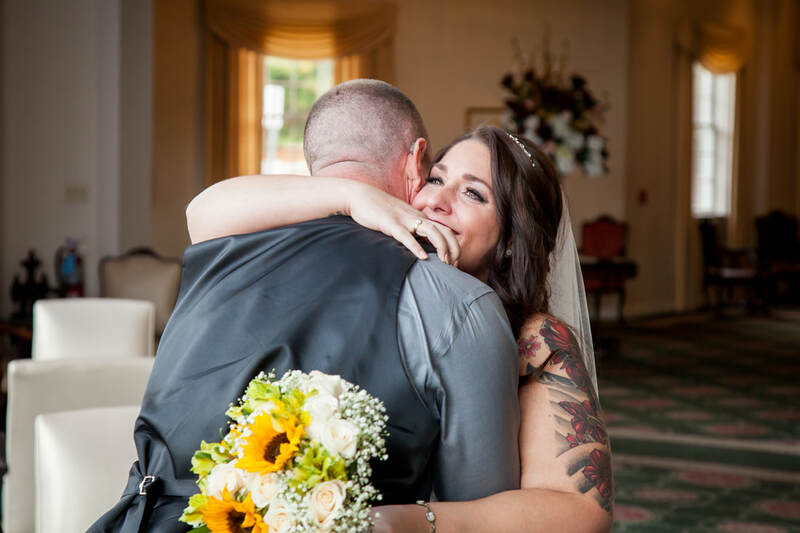 You can laugh, cry, hug, and actually talk to each other instead of waiting 30+ minutes for the ceremony to be over. 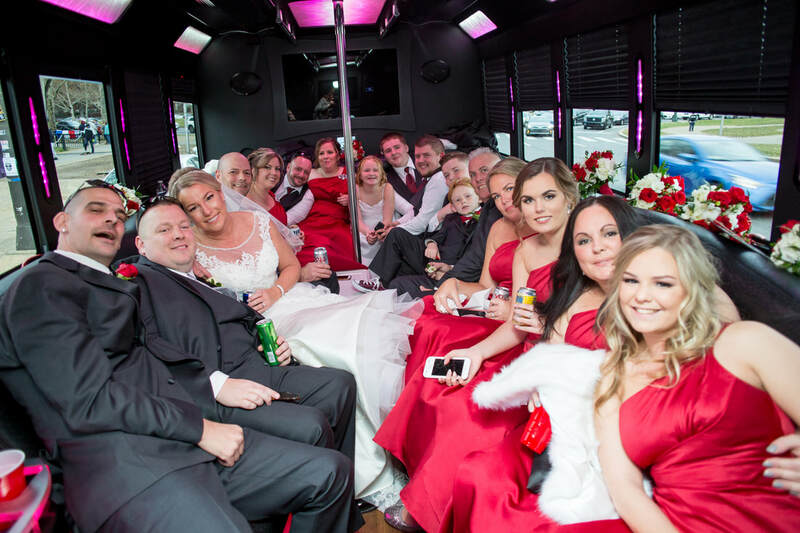 The first look can be as private or public as you want, to include family and friends. 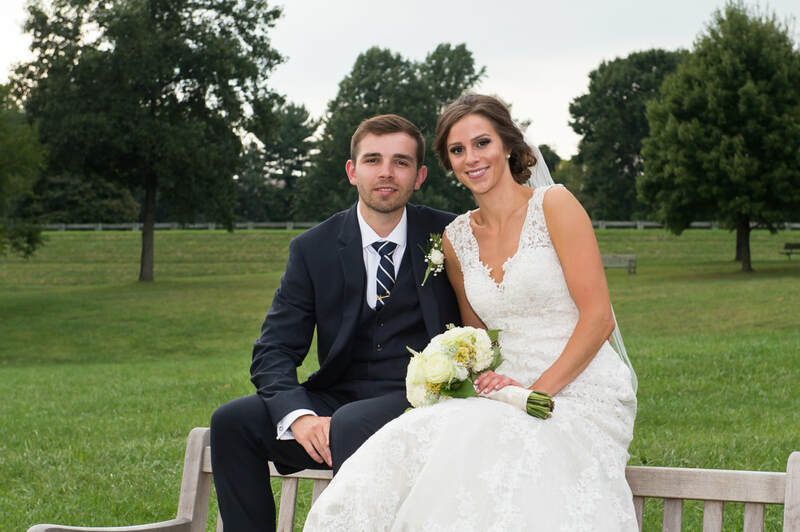 Even if you are having a church ceremony, we suggest a first look. You will actually be able to enjoy your cocktail hour because ALL your portraits will be done by the time you say "I Do"! Plus, when November comes around, we loose so much light in the evening it can be hard to squeeze all your photos in in time without rushing. ​- Aisle etiquette. It's an aisle... not a racetrack! 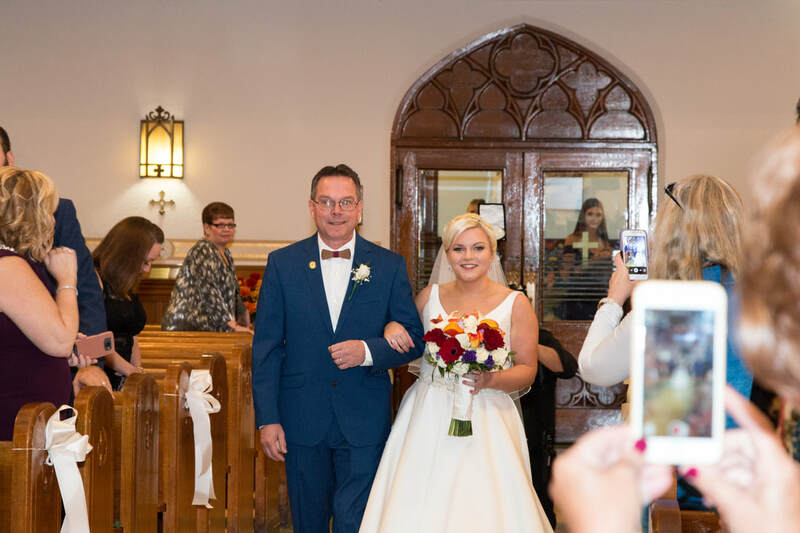 Yes, having 50 or more people stare at you as you walk down the aisle can be awkward; but what's more awkward is the photo we have of you staring at your feet with your bouquet up your nose. Walk slower than normal and keep bouquets on top of your bellybutton. It's also a good idea to throw out the gum you have been chewing since 10am so we don't capture you mid-chomp. And guys - take your phone out of your front pocket and give it to somebody else! Who do you need to be texting when all your best friends are here with you anyways?! - A kiss, not a peck. Okay, again, we get it... kissing in front of all your family and friends can be weird! But guess what... that's one of the biggest parts of your wedding! If you do a .5 second peck as your first kiss, i'm sorry but there is a chance we missed it. Even with our 'fancy cameras' it takes the lens a few seconds to focus, especially in a dark church. Give us one good long mushy kiss so we can get a few shots out of it because you're definitely going to want that photo in your album. 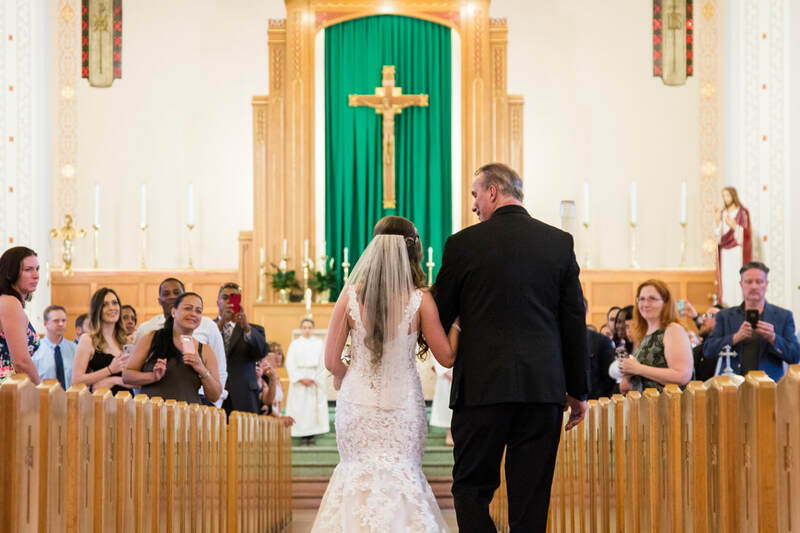 It's also a good idea to communicate with your priest (this is rarely an issue with non-church ceremonies) to find out where they will be standing when you kiss. If he/she is standing between you and the congregation, we have to adjust our positioning to capture the kiss and not the back of your priest's head. - Delegate family/friends. It's time for formal family pictures and your mom, aunt, and brother are missing - not a huge shock. We need somebody to go around cocktail hour or the back of the church to round up who we are missing. 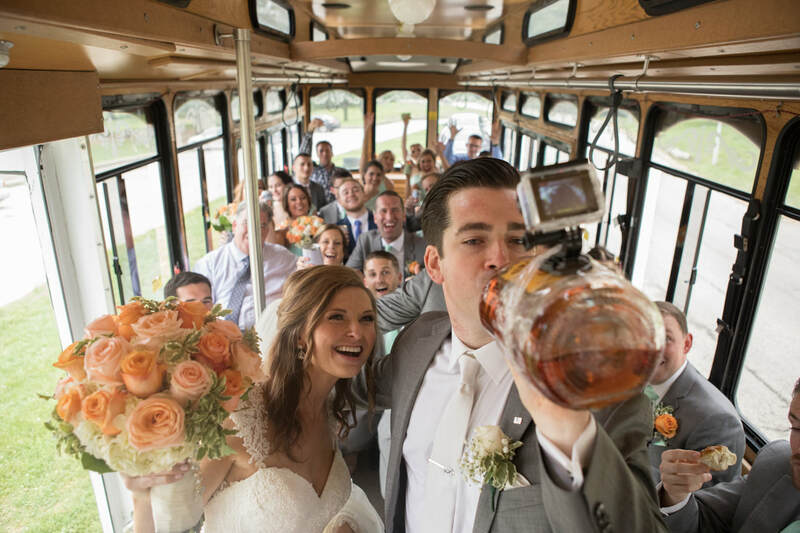 As the bride or groom, do NOT try and do this yourself; we will never, ever, ever see you again. There are too many people who will want to talk as soon as they catch a glimpse of you and that is precious time we need for photographs. 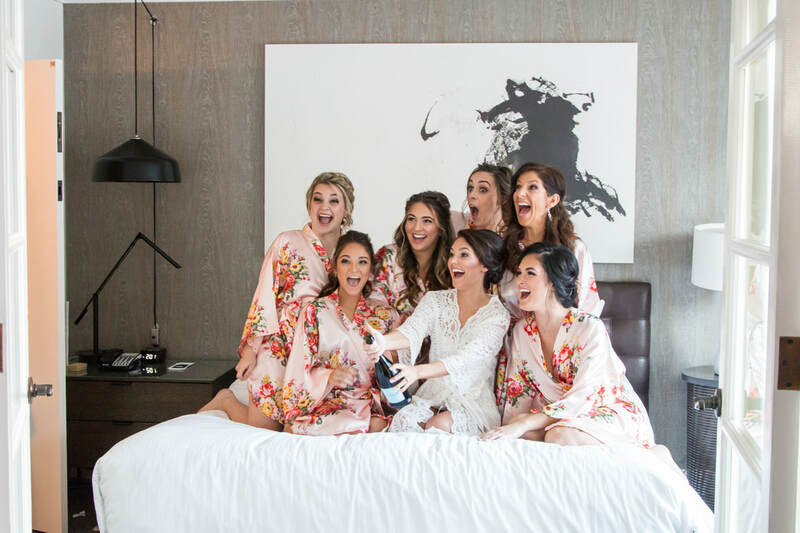 You have a bridal party, now put them to work! - Feed your vendors like guests. Think of it this way... we have been working for approximately 7 hours by the time dinner starts, so of course our stomachs are rumbling (we're just hiding it from you). Most venues serve vendors after all guests have been served and sometimes after their plates have even been cleared. What happens after plates are cleared? Dancing! That leaves us to shoving our faces in 5 minutes or less, or even worse - not having time to eat by the time we are served because other events are taking place that need our attention. It really means a lot to vendors when couples take time to request that our food be served in the middle of dinner so we get some time to rest and refuel. - Get the second photographer. Debating on whether you need a second photographer or not? Well we say you do! You will get so many more photographs since you will have two people photographing at the same time, all day. Increased images means more candid photographs as well, which everyone loves! 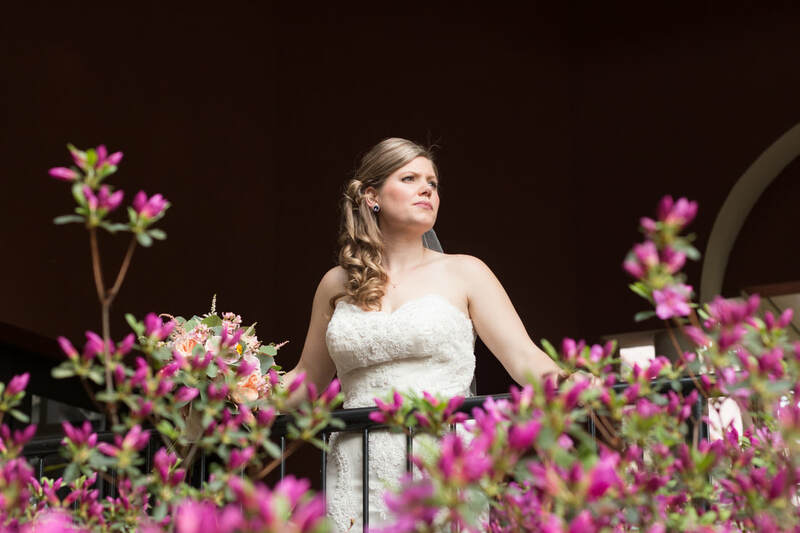 While your lead shooter is concentrated on the 'need to get' photographs, your second shooter can pay attention to the little things happening in the background. 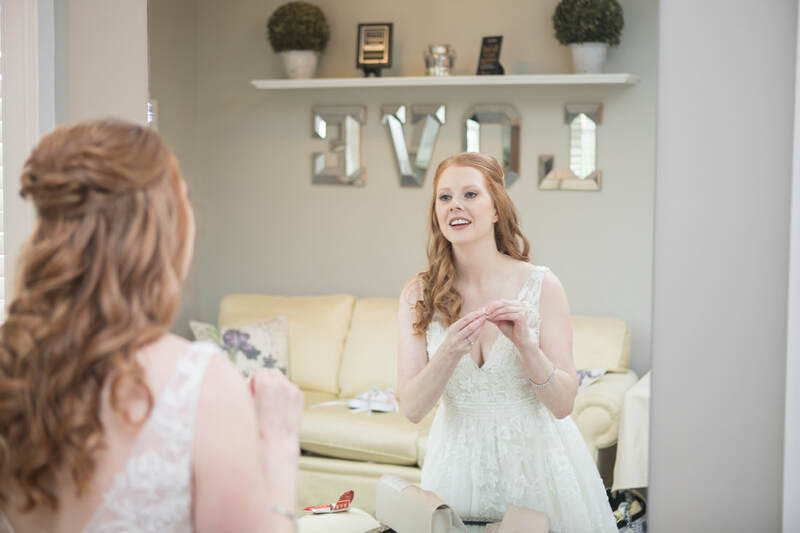 One of the best parts of hiring the second photographer, is that you get coverage of the girls and guys getting ready - which majority of the time can't happen with just one photographer. Lastly, you get a different perspective than what your lead shooter might have done (see below).